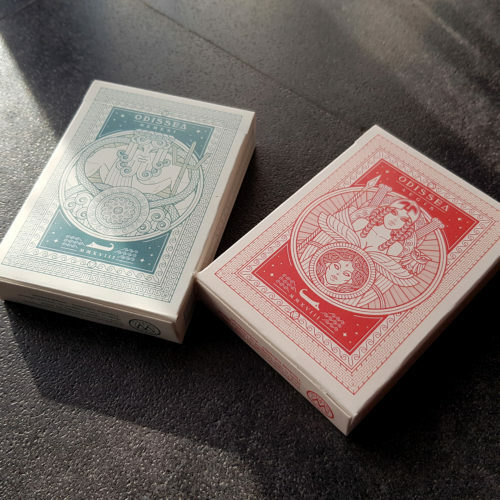 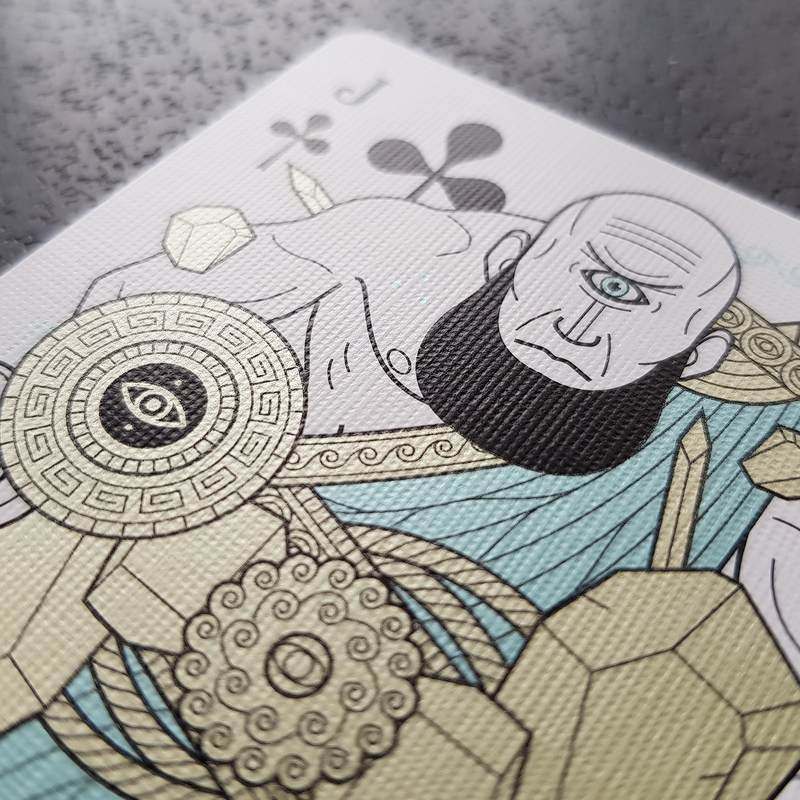 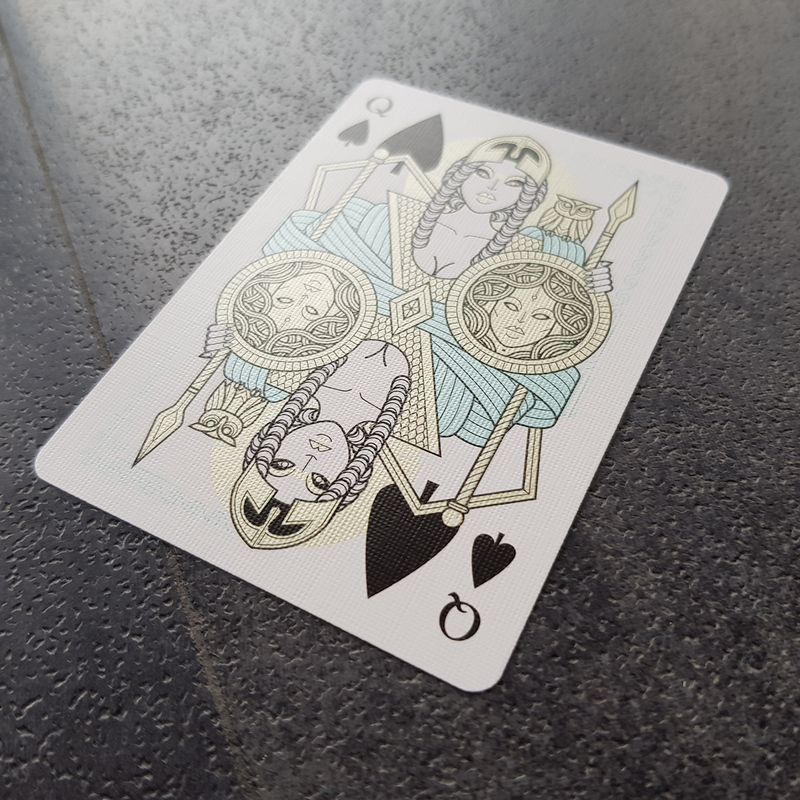 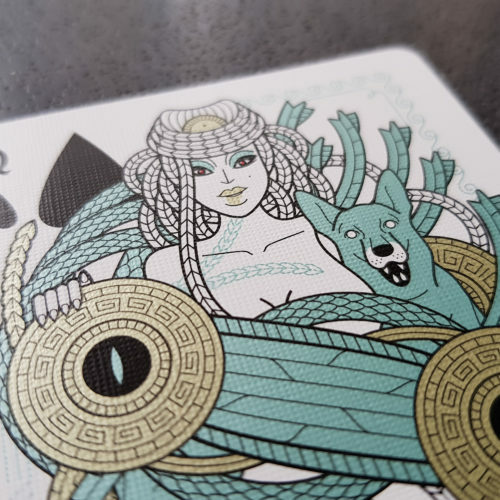 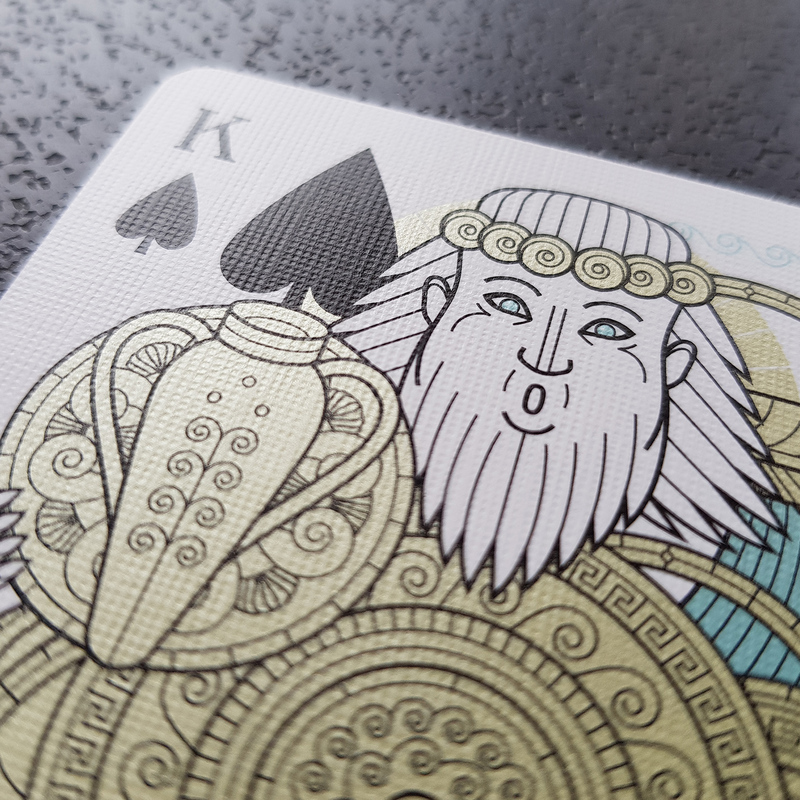 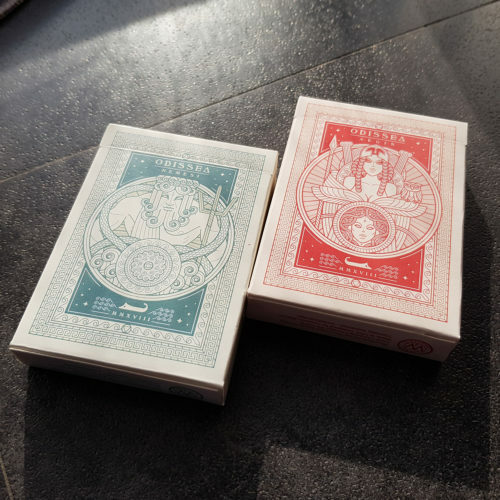 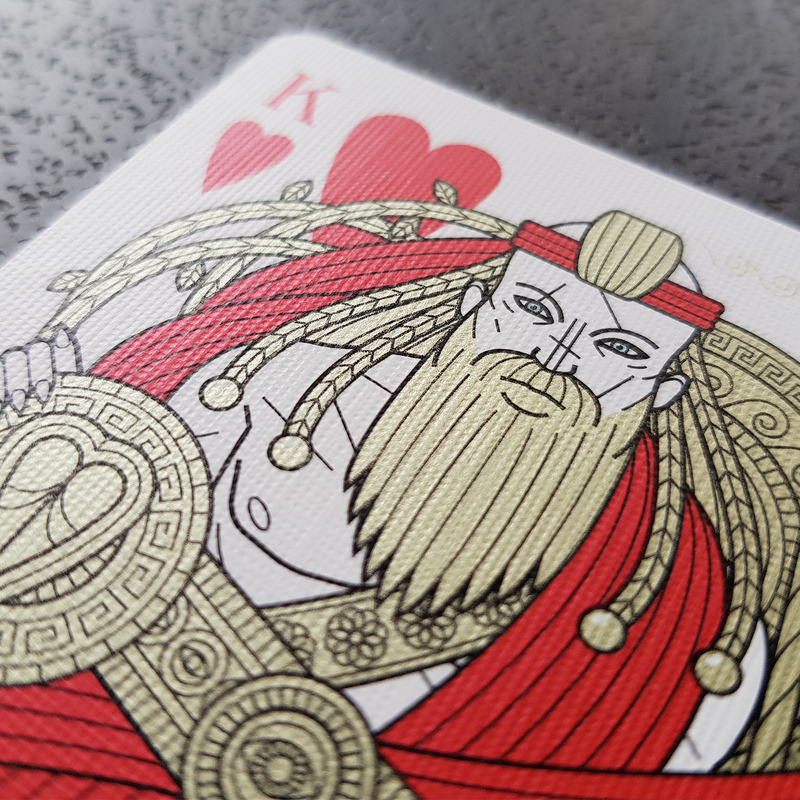 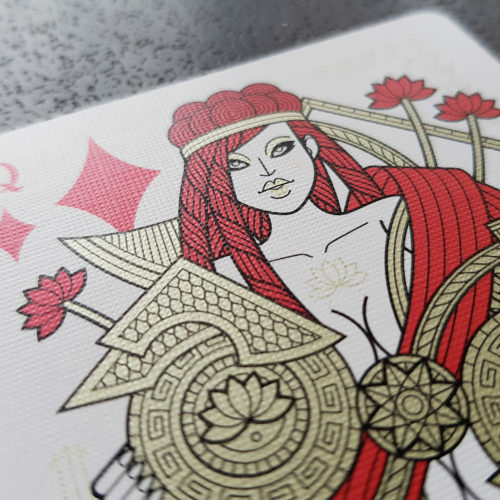 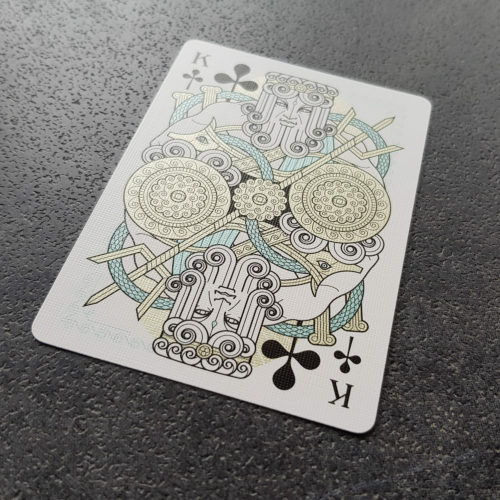 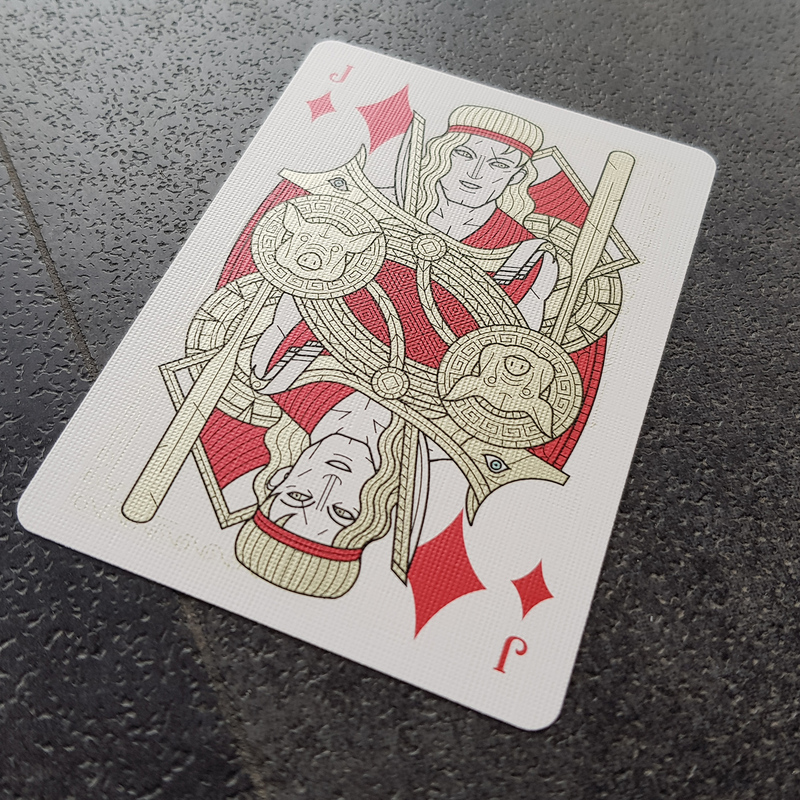 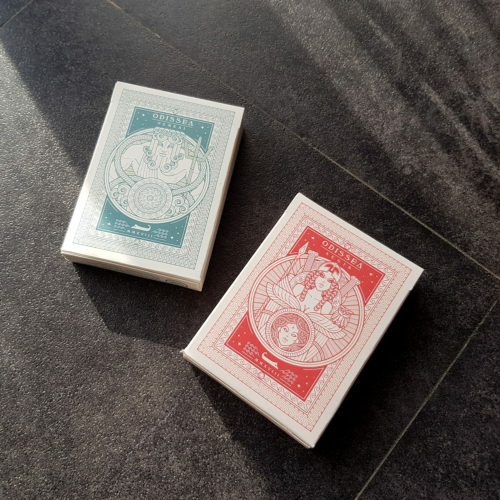 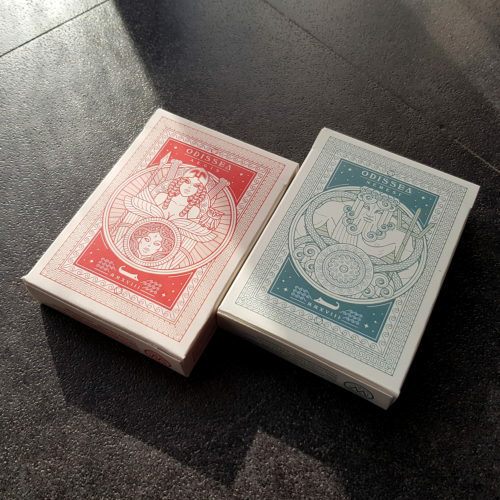 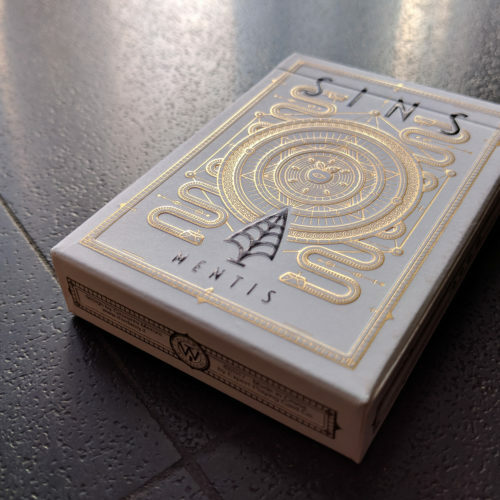 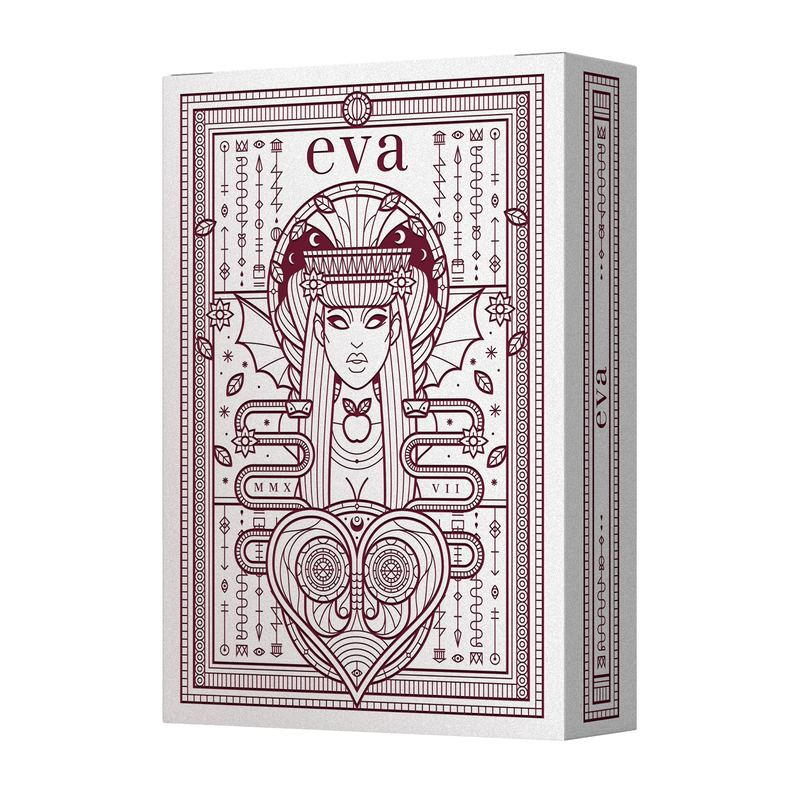 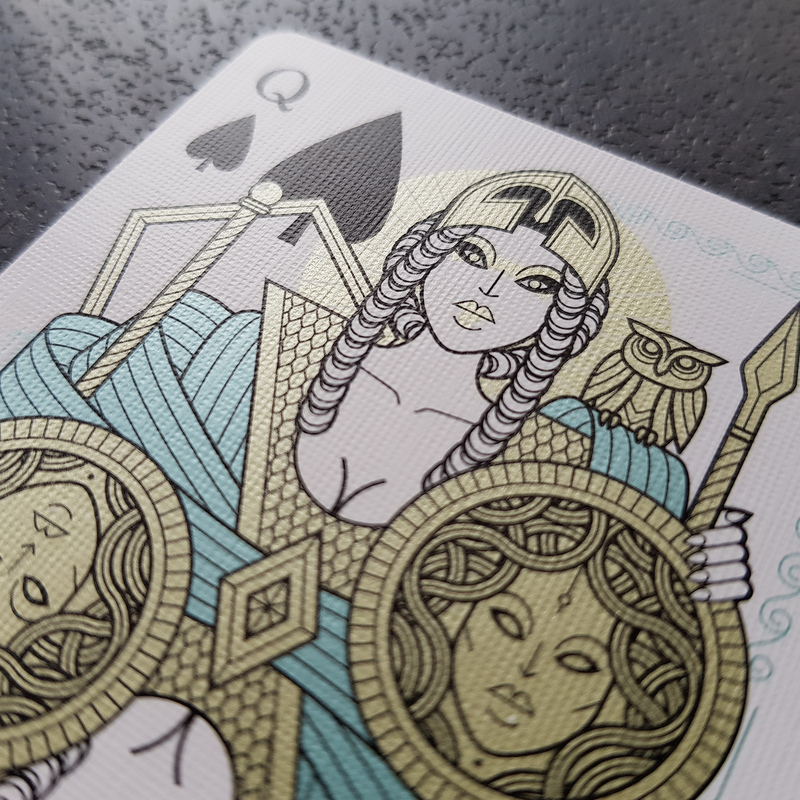 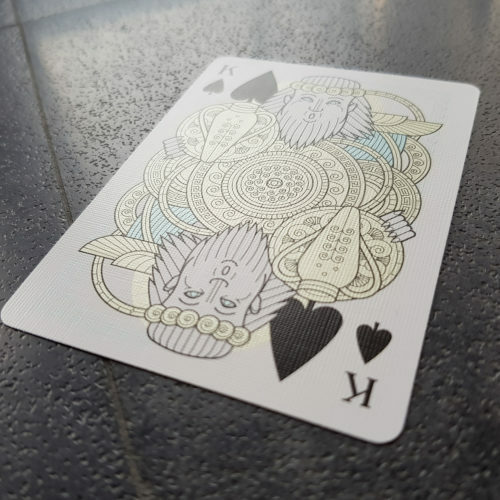 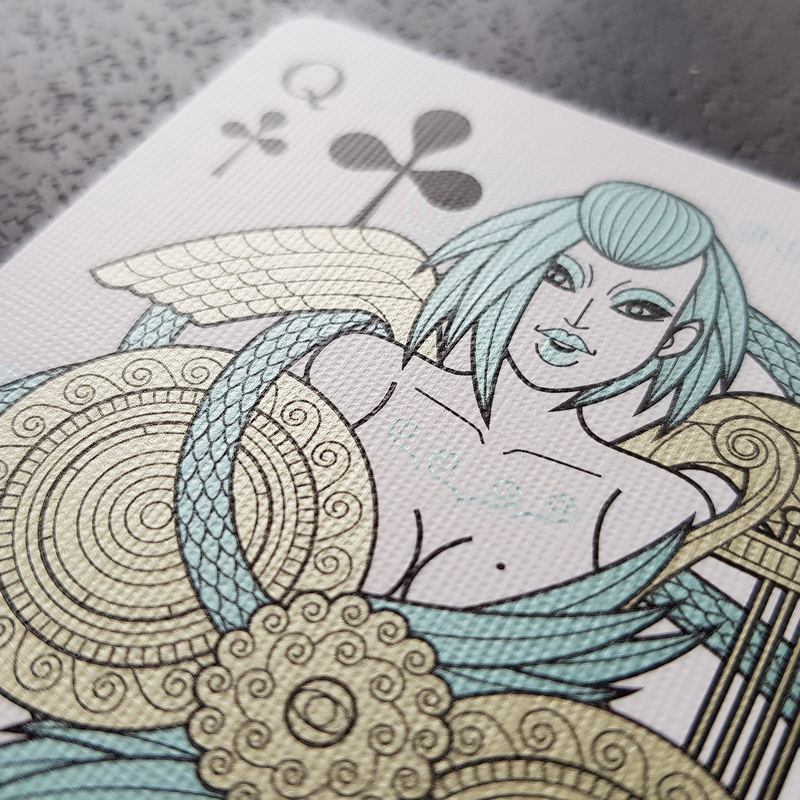 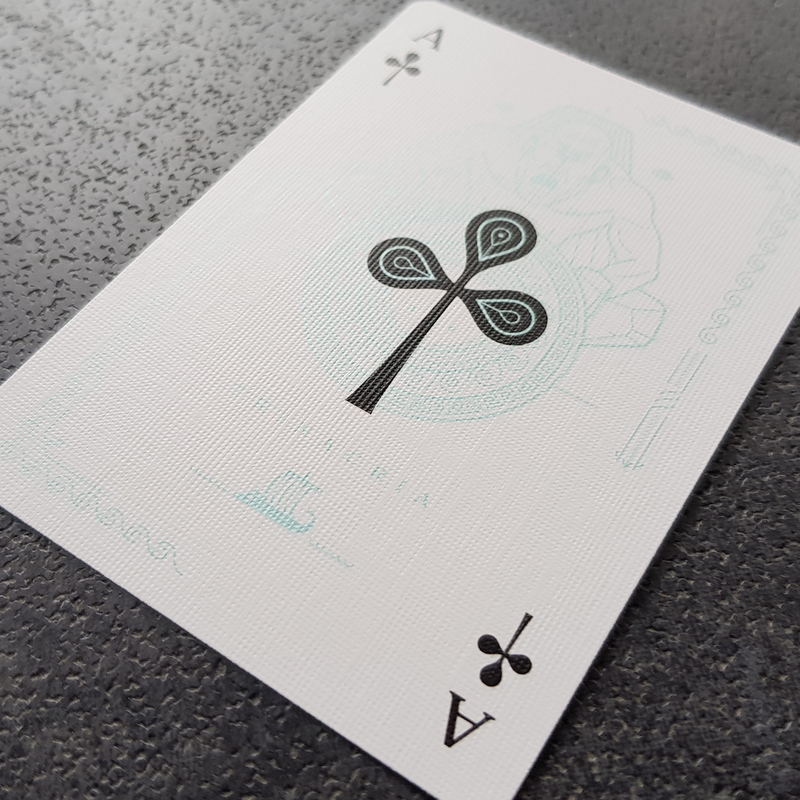 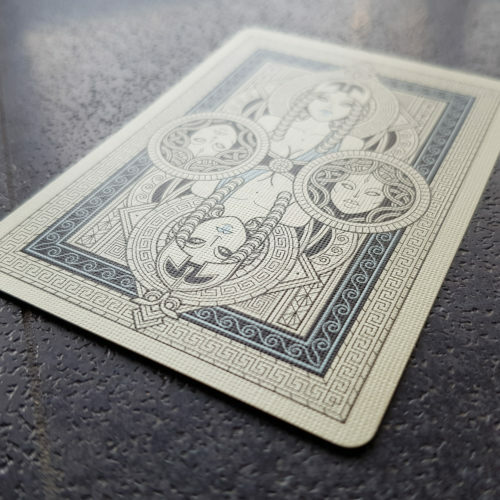 Aegis and Nemesi combines Minerva and Neptune Cards with a digital printed box. 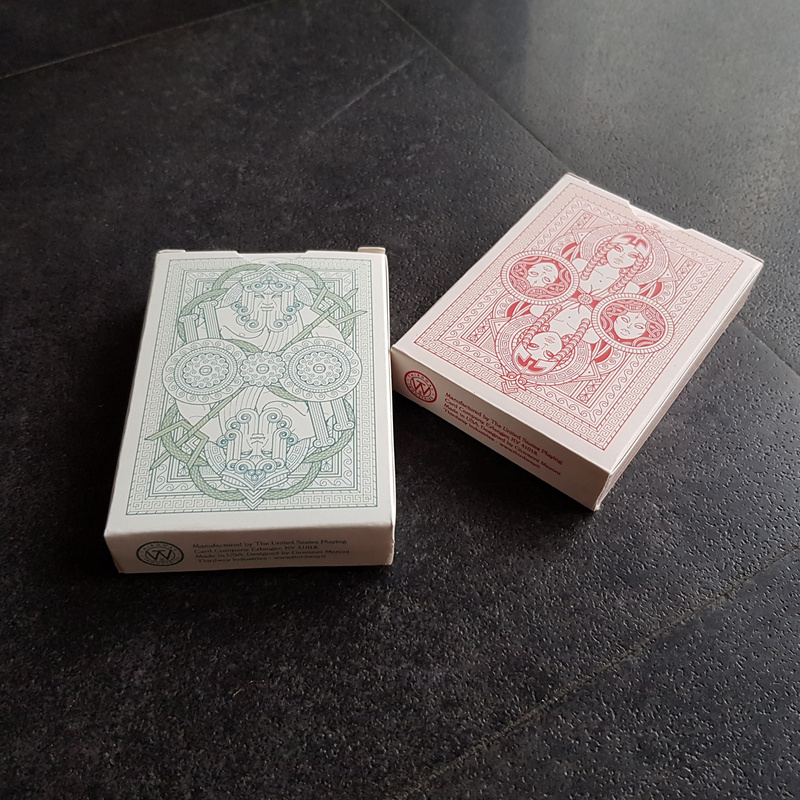 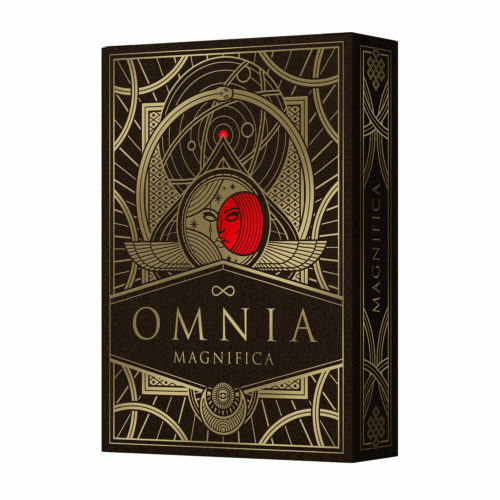 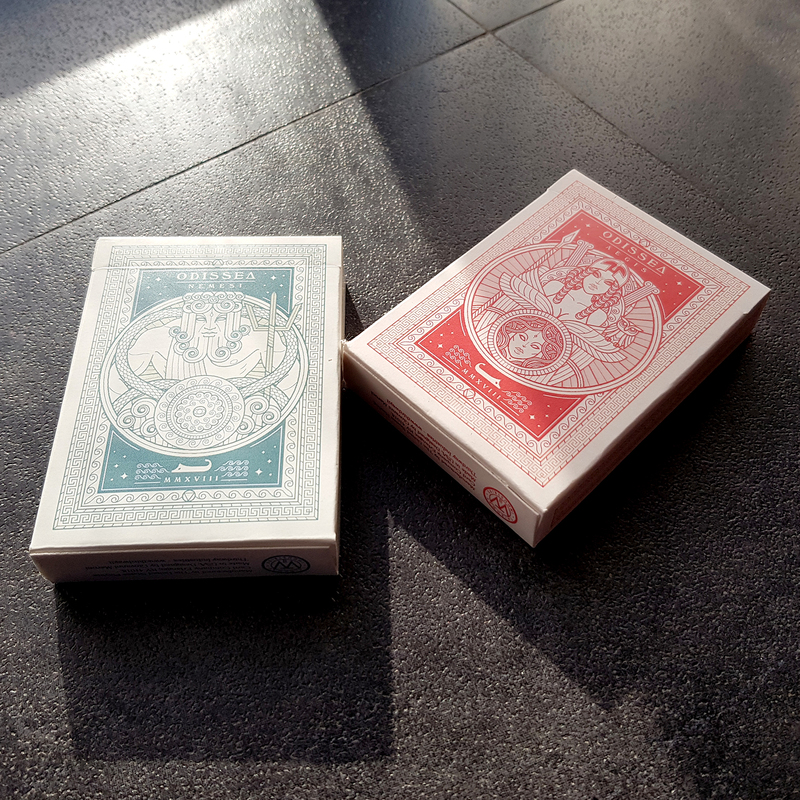 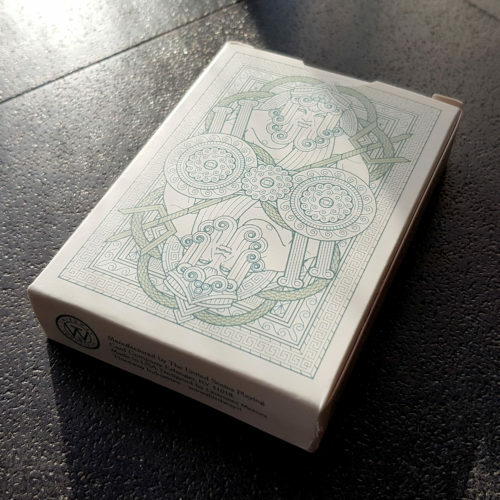 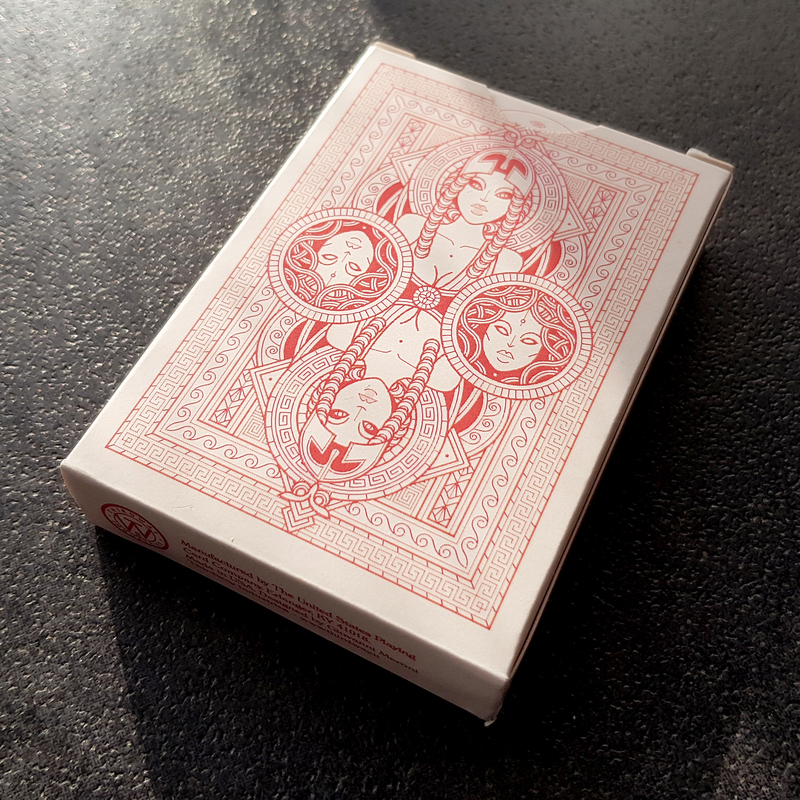 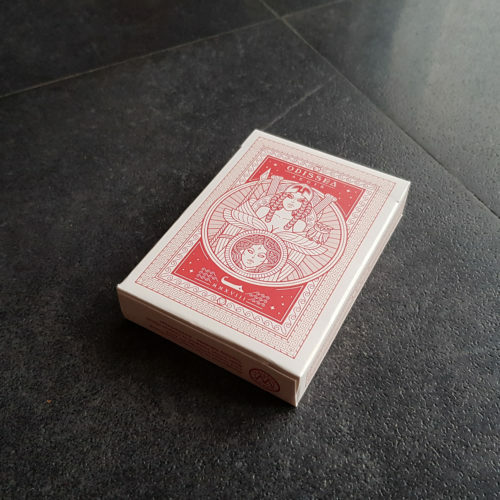 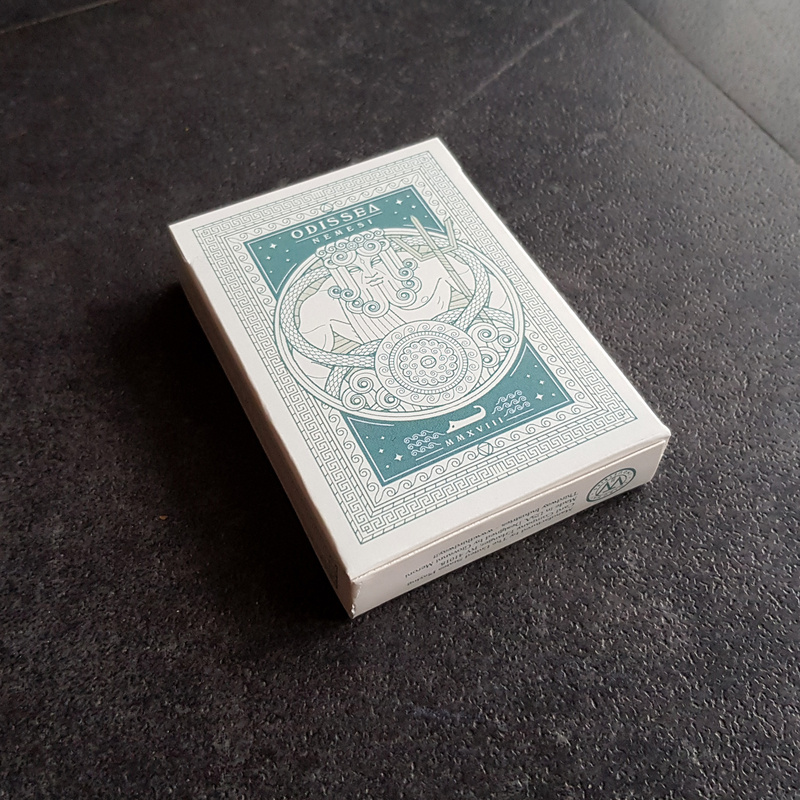 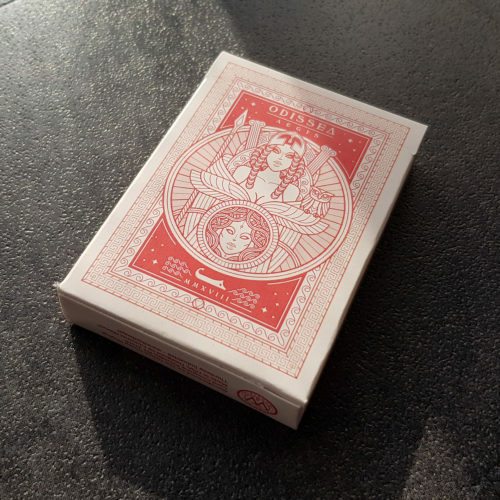 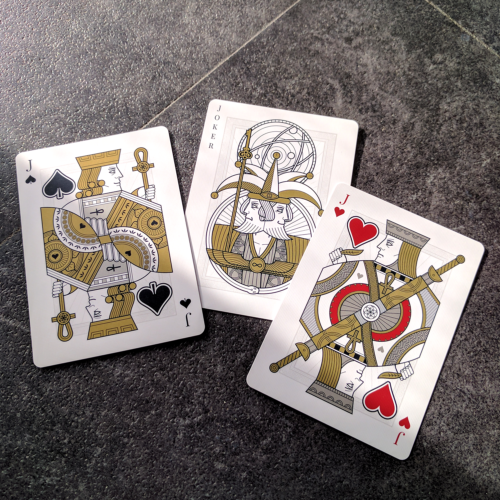 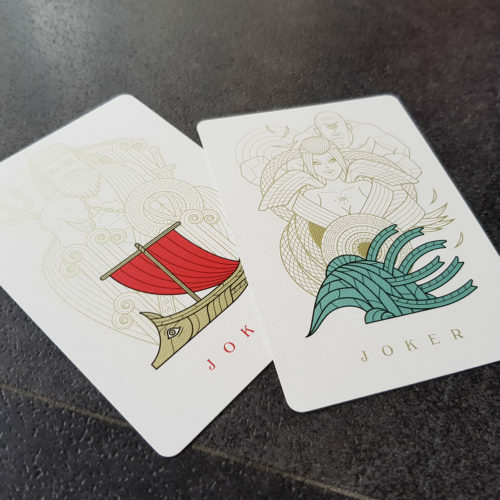 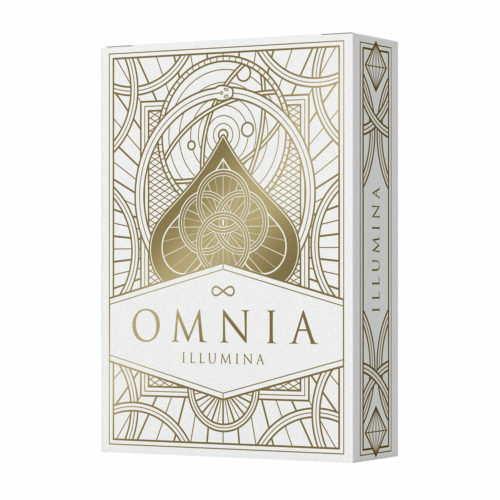 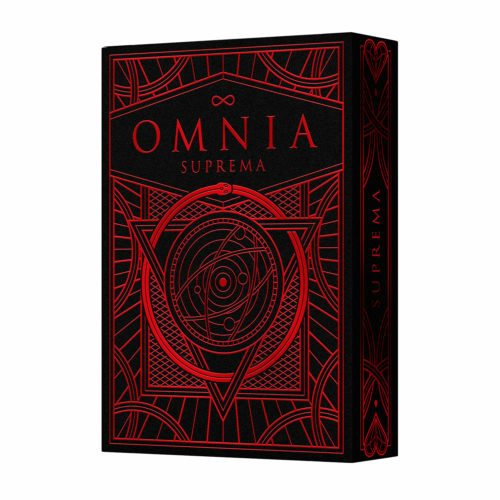 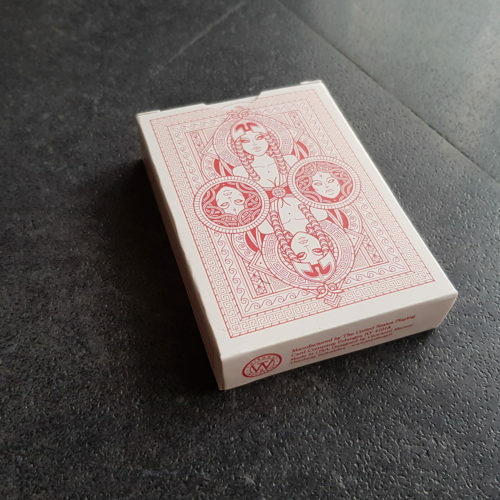 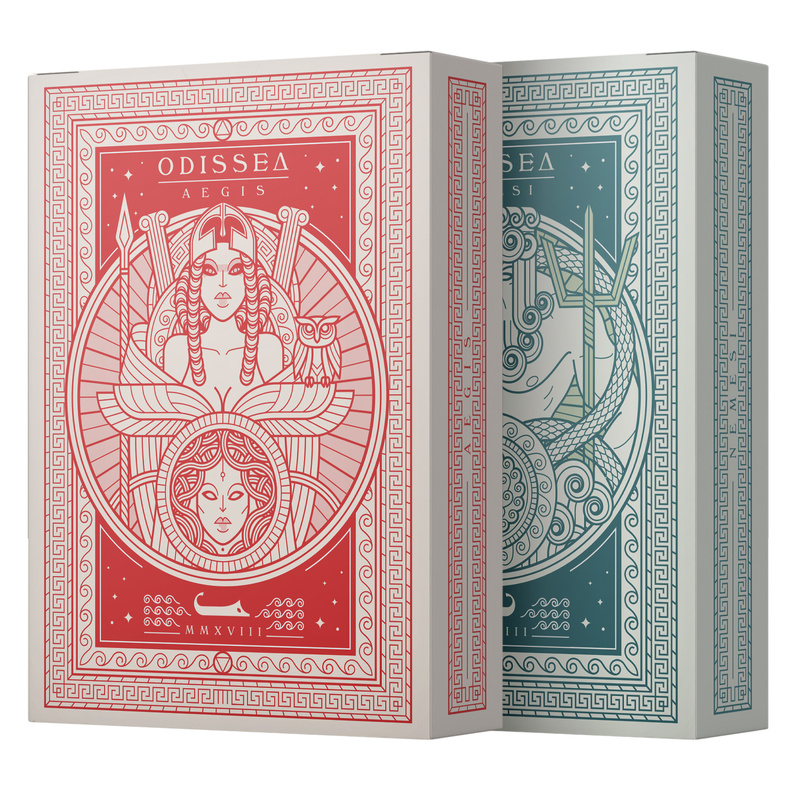 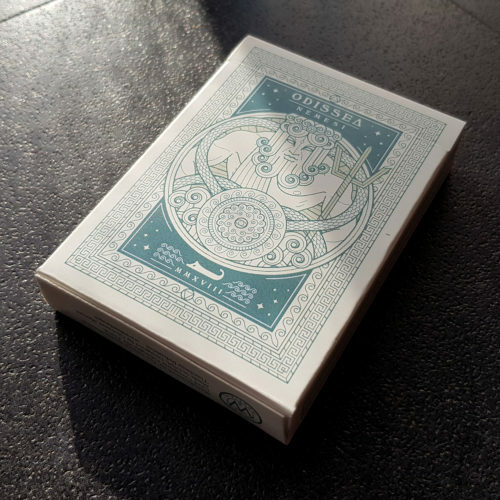 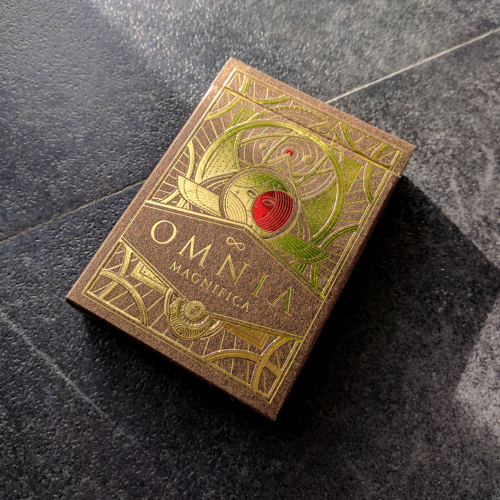 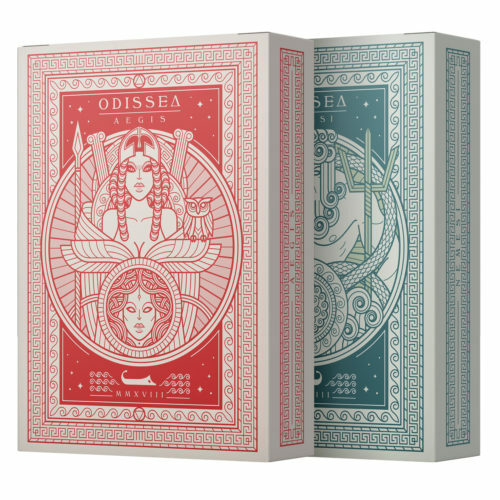 Odissea project was produced combining the awesome USPCC cards with premium boxes by Gamblers Warehouse – due to a production problem, some of the original Minerva and Neptune boxes were lost, so there was some USPCC cards without a box. 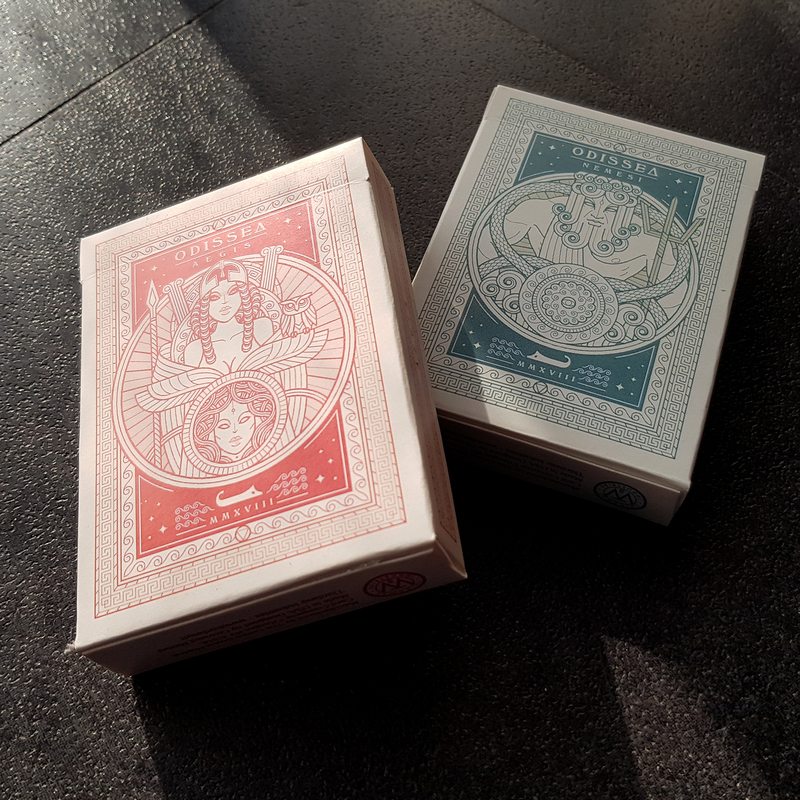 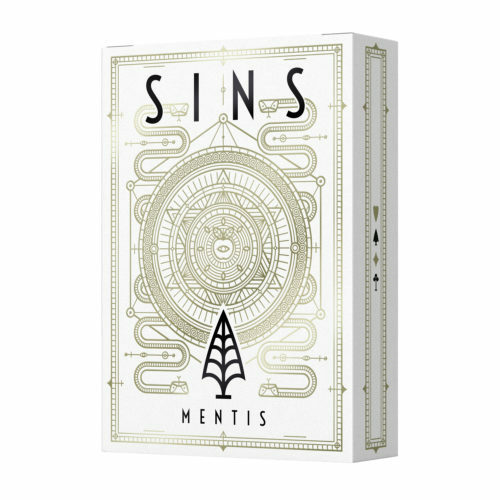 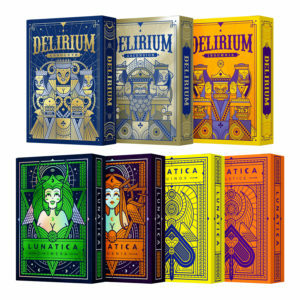 For fix the issue I and Gamblers Warehouse produced some new digital boxes for the loose cards: Aegis and Nemesi. 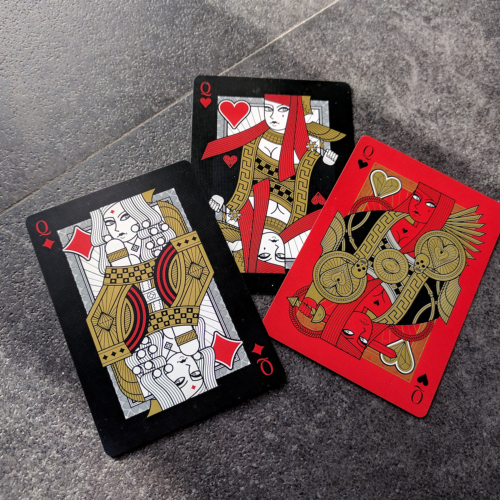 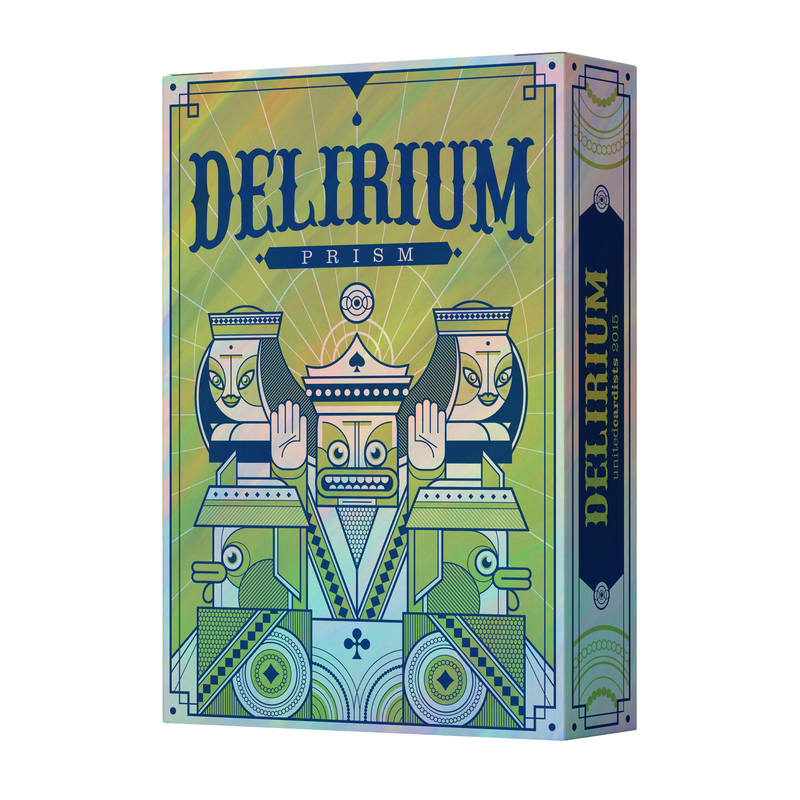 Those decks were totally unplanned and made to solve a problem – for this reason, are very limited. 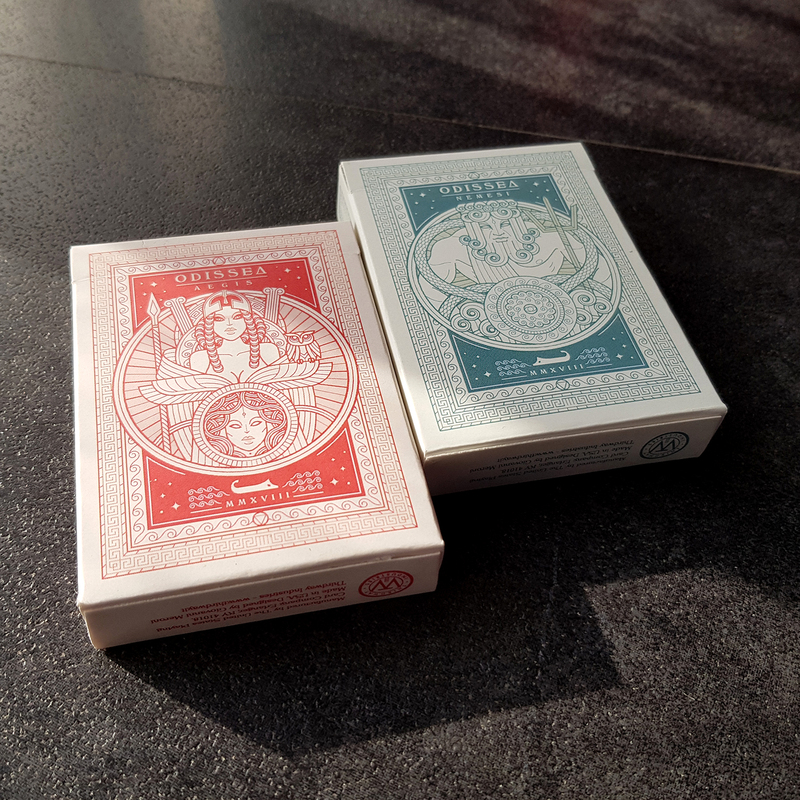 Aegis and Nemesi are tuck swaps of Minerva and Neptune, so I’ve decided to use two words that represent indirectly the two Gods of the main decks, to made them recognizable, but new. 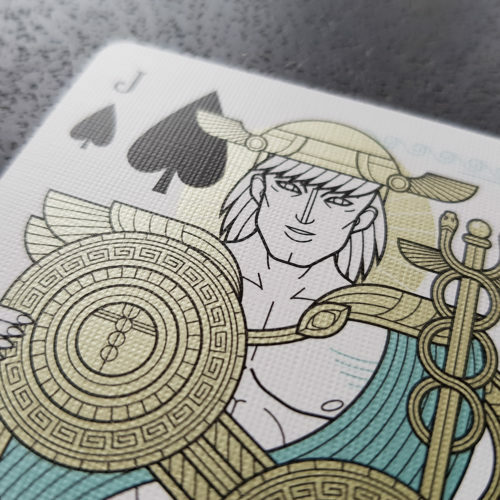 Aegis was the legendary shield of Jupiter, but mainly held by his daughter Minerva. This shield is an iconic symbol of the Goddess of Strategy, and it also represent her role toward Ulysses. 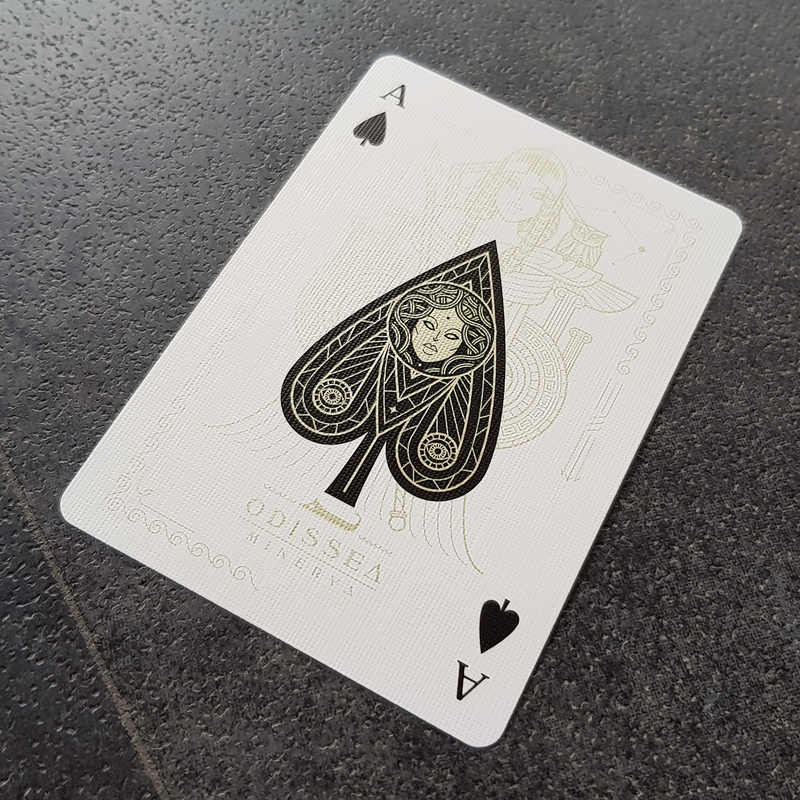 She’s his protection against all the threats he suffered during the Odissey. 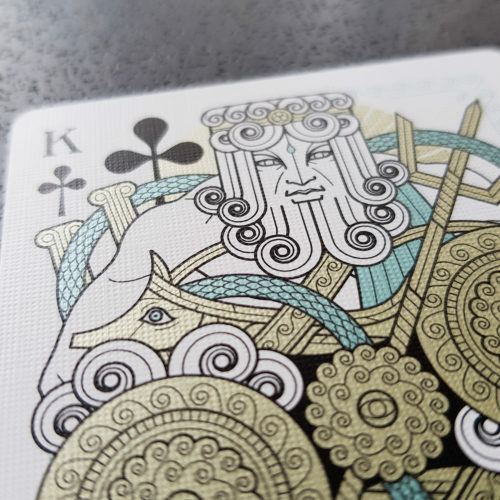 The God Neptune is Ulysses Nemesis. He’s the final, unbeatable, divine enemy he had to face during the Odyssey. Neptune want to hurt Ulysses because he want vengance for the blinding of his son Polyphemus. 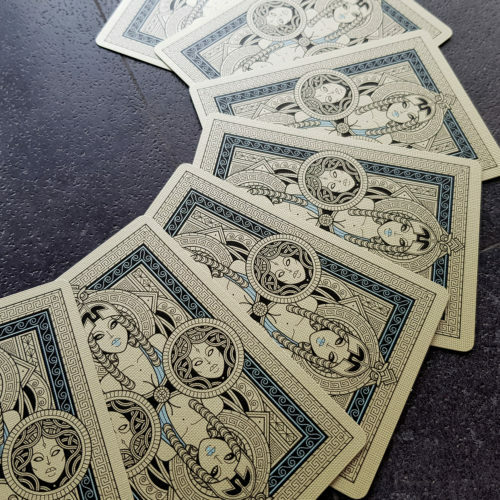 Apart colors and name, there are subtle differences between Minerva/Aegis and Neptune/Nemesis.